For the first 30 minutes, we'll chat over coffee and get to know each other. Then, we'll get working! Laptop, or something to work on. Come by CCF each Thursday night for free dinner, worship music, and a talk led by our very own campus minister, Rick Harper. Adult Pick-Up Soccer @ Station Soccer - West End. Suggested $5 Donation! Atlanta, GA. PASOFino Latin Dance Studio. 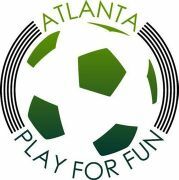 Atlanta, GA. Atlanta, GA - Jeykle Brewery - 2855 Marconi Dr #350, Alphare..
Atlanta, GA. Women’s Thursday Evening Group - Location New VCV church spa..
With the Spring season back, we can start using the Peachtree Charter Middle school fields again. We will alternate between the turf baseball fields and the grass field, depending on availability. Atlanta, GA. Relapse Theatre - Atlanta - GA - Comedy. Atlanta, GA. 1955 Cliff Valley Way NE, Atlanta, GA 30329, USA. April 18th 2019 will be a Movie! @bribiase will be performing LIVE! Special Guests will be in the building! Tickets are $5 in ADVANCE!